Have you ever imagined the amount of food we waste each day? What happens to the food that the fast food chains make each day? All of it does not go into our stomach nor do the staffs of the restaurants take it home. The food goes into the garbage! That’s not the point because we are talking about the needy people, who do not have enough food to eat. Where would they store their last night’s cooked meal? Dikshita Khullar, a class 12 student from G.D Goenka, Delhi has found a solution for it. She has developed a fridge which does not require electricity. She calls it the magic fridge because it does not need electricity! You can use the fridge in villages where electricity is a distant dream! The young girl invented the magic fridge for a particular crowd! The invention is meant for farmers, who need a way to store their farm-grown fruits and vegetables. Dikshita Khullar lives in Delhi and she studies in G.D Goenka, Vasant Kunj. She has solved the biggest problem of farmers and it is a great invention which is praise-worthy! Dikshita shared that the cost of making the fridge is approximately 4,000 rupees. 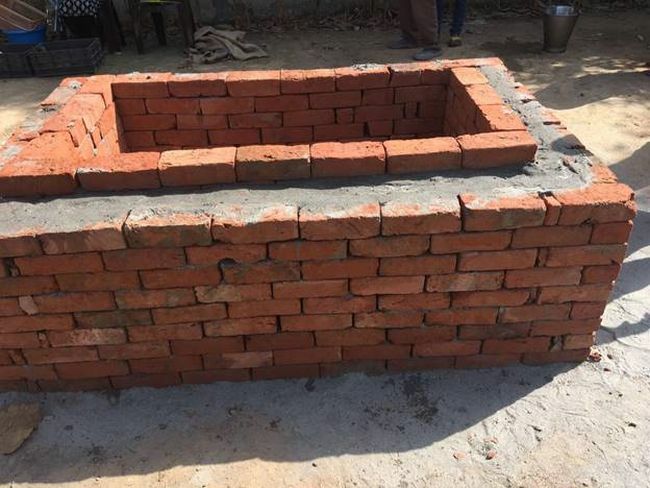 She used sand, jute bags, bricks and bamboos to build the magic fridge. She took her Science lessons seriously and created the fridge by using the concept of passive evaporation. As per her, the crate of the fridge can hold up to six crates of 120 kilograms of vegetables. It is a smart invention because she has used raw materials that are easily available and do not cost a lot. The chambers of the fridge maintain a temperature between 10 to 15 degrees. This fridge will help the farmers to keep the vegetables fresh! Is she an inspiration? Yes! The young girl is studying in Class 12 and such great ideas seldom come to a person’s mind. We think of the problems of the world but we do not want to come up with solutions. Dikshita Khullar is one such brilliant mind, who invented the magic fridge. She thought about the farmers and their plight. It is indeed a noble thought and her invention will change the face of the country. It will surely reduce the stress of farmers and vendors. The magic fridge is one of the greatest inventions and we salute women like Dikshita, who are giving us a reason to concentrate on our Science lessons!